If your primary care physician has recommended that you meet with an orthopedic surgeon for any acute or chronic injuries or conditions you may have, it can be helpful to know what to expect during the initial consultation. You and the surgeon will be discussing the specific condition, the course of treatment, and the projected rehabilitation process. The surgeon will likely want to perform an examination and some tests to get a clearer sense of the issue. The doctor will likely ask you about your general health, past health conditions, family medical history, and other existing conditions that you may have. They will particularly want to know about conditions such as arthritis, osteoporosis, anemia, diabetes, obesity, and hypertension, because these issues may influence the treatment option that the surgeon provides. You’ve probably discussed any and all pain that you are currently experiencing with your primary care physician. You’ll likely discuss it all again in detail with your surgeon. Also, be sure to discuss previous injuries or existing conditions that could be having an effect on this orthopedic condition. Before your consultation, it may be helpful to keep a pain journal where you can record activities and positions that cause pain anywhere in your body. Be sure to bring the journal with you to your consultation and share it with the surgeon. Physical examinations are important for the surgeon to assess your range of motion, swelling, reflexes, and skin condition. Your doctor will be observing your general capacity to move around in certain positions such as walking, sitting, standing, climbing stairs, bending forward and backward, etc. These tests are used to exclude or confirm likely diagnoses. 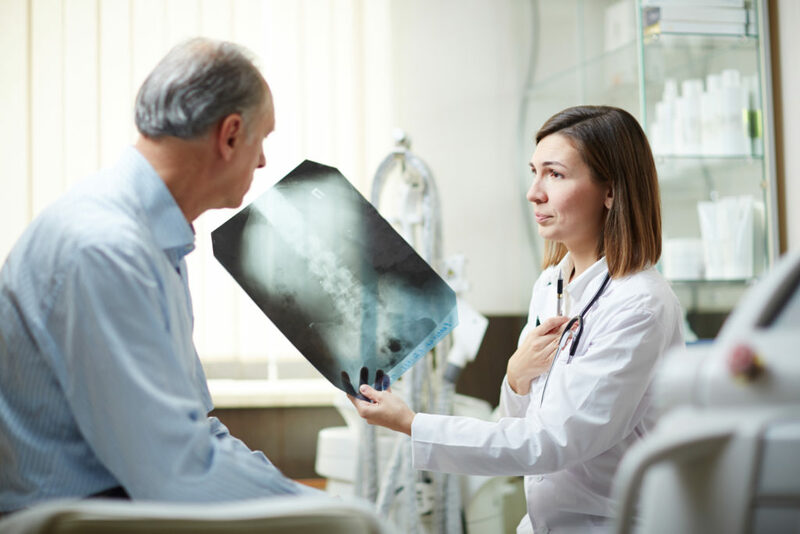 X-rays provide your doctor with details about the health of the area in question. Pain can be caused by a wide range of conditions, but an X-ray can give insight to any changes in size, shape, or position of a particular part of your body. Some issues that can be seen on X-rays might be cysts, deformities, and improper alignment. These scans can also be used to detect early stages of disease. This information gives your surgeon a better understanding of the current state of your condition and whether or not there may be any possible complications with certain treatments. Once a treatment plan has been discussed, be sure to ask your orthopedic surgeon about the rehabilitation process and the cost to you. Your consultation with the orthopedist can help them determine the best treatment options that will give you long-term relief and support a healthy lifestyle for you. At Spectrum Orthopaedics, we value the overall health and wellness of each individual patient. With our state-of-the art MRI technology and an advanced surgical center, plus a full staff of physical therapists, our team offers everything necessary for complete care and treatment. For more information about orthopedic conditions we treat, or to schedule an appointment, call us at (330) 305-0838 or (844) 469-2663 or fill out our online appointment request form today. We look forward to hearing from you and helping you enjoy a more pain-free lifestyle.